What makes a person recycle? Is it a learned behavior turned habit set by example? Is it something we do to avoid green guilt? Or perhaps in some cases it’s an act for economic gain. Whatever the reason, the important thing is that people continue to recycle so we can continue to protect some of the earth’s natural resources. Recycling reduces the amount of waste to landfill: Did you know that in the average American generates 4.5 pounds of waste every day? Ensuring that our country doesn’t become one big garbage dump is a pretty compelling reason to recycle. Unfortunately, despite the strong evidence in favor of recycling, only 34% of waste in America is recycled. So why is the remaining 64% not being recycled? Inconvenience: If your local waste management company doesn’t pick up recyclables at the curb, it can be very inconvenient to recycle. Loading a car up with garbage and driving it to a local recycling center is not anyone’s idea of a good time on a Saturday morning. And, while many more municipalities are implementing curbside recycling, until it’s available to every home and office, many won’t make the extra effort to recycle. Not Knowing What Is Recyclable: Because each waste management company determines what recyclables they’re willing to pick up, it’s difficult for an average consumer to decipher what is recyclable. In addition, there is no standard labeling system or rule of thumb for what can be recycled. Some companies only pick up paper, while others include plastics and aluminum – but only numbers 1 & 5 for plastic, no wait make that numbers 3 and 4 but no bags. Confusion is inevitable, due to this lack of consistent standards. Lack of Confidence: Some people (falsely) believe that all recyclables end up in the trash. In reality, recycling diverts a significant amount of material from the landfill. 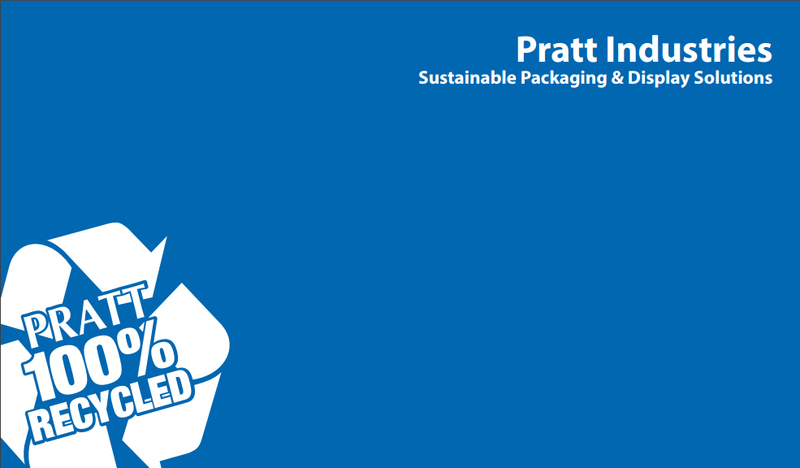 In fact, every year Pratt Industries diverts 1.8 million tons of waste paper, othere recyclable materials and waste-to-clean energy materials from the landfill. Place your recycling container in a visible and accessible area. Location will make a big difference in the amount of recyclables you collect. Educate everyone within your organization on the benefits of recycling. Track the volume of recyclables you are collecting as compared to the reduction in waste. Report on the success of recycling efforts. Ensure that all recycling receptacles and bins are labeled clearly. How will you increase your recycling efforts? Please share by leaving a comment.